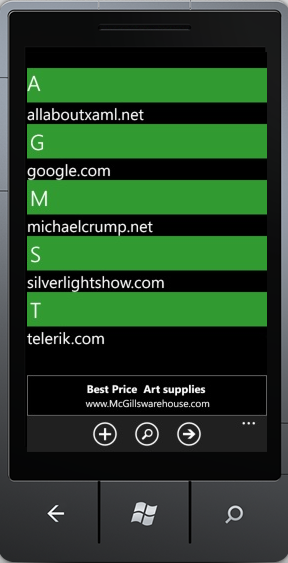 Tired of using the default browser that ships with Windows Phone 7? 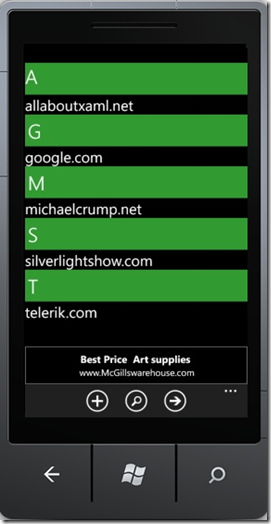 Would you like to browse the web using the full Windows Phone 7 Screen and for FREE? Well that is exactly what this app offers. Not only can you surf the web using the full screen but you can save and pin favorites search the web share the page using social media networks email or SMS messages. You can even view the page in Internet Explorer if you want. Go ahead and check out the screenshots and grab it now while it's still free. 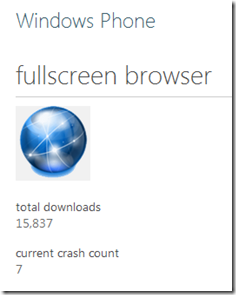 In April 2011 I built and released FullScreen Browser in about a weekend. I decided that I would tweet about it and go on about my life. 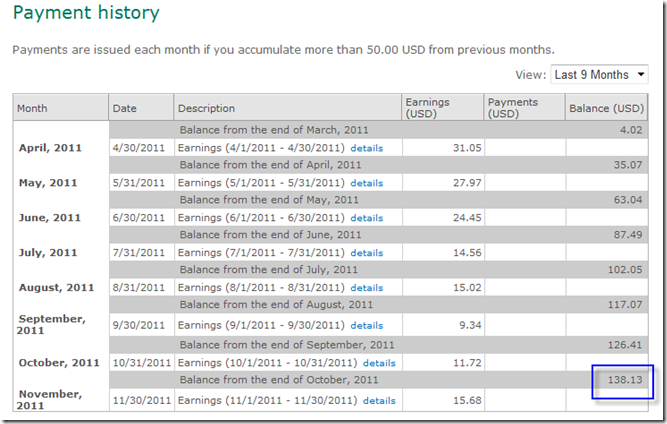 At the end of 2011 I decided that it would be interesting to see how many downloads it had as well as if I earned any money using the Microsoft Ads. Please keep in mind that this is without updates promotional advertisements or any additional post on social networks. Total Downloads: I logged into App Hub and selected my app to find that it had been downloaded 15 837 times. I was very impressed with this number as I said earlier I haven’t updated or promoted the app. A quick search on Google reveals that even though I didn’t advertise it other web sites did. 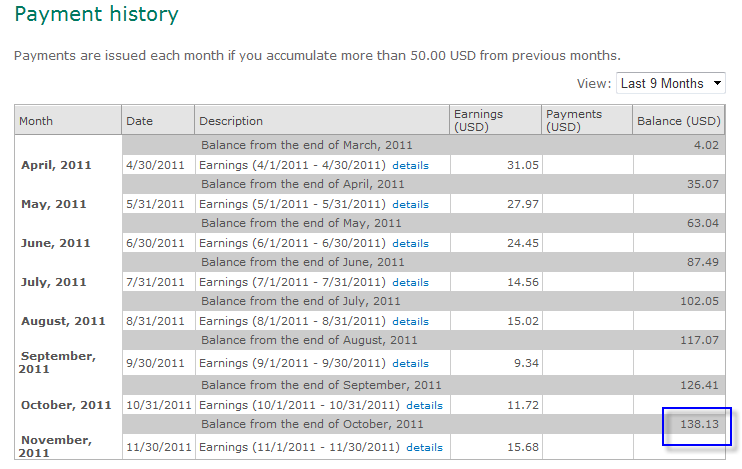 Money Earned: I logged into PubCenter and noticed that I have earned $138.13 on this application since the April 2011 release date. This isn’t much money when an hour consulting is worth about $80 or so but it is still enough to take the wife out for dinner somewhere. PreEmptive Solutions Stats: Unfortunately PreEmptive Solutions suspended the free WP7 service in December 11. I did not renew and no longer have access to the data recorded. I’m going to record the stats on updating advertising and polishing the app now and look at the difference. I’ve already submitted 2 app updates since January 2012 (updating to mango) and adding features that everyone wanted. I’ve developed a product page and plan to report back in 8 months or so what happened. If you have any questions or comments then feel free to post them below.